Arakkonam is a mid-sized town in the Indian state of Tamil Nadu, with a population of about 101,626 as per the census 2011. This town is located in the Vellore District about 69 kilometres (43 mi) (via rail) from the state capital of Chennai. Arakkonam is one of the hottest towns in India, where the temperature can exceed 43 °C (110 °F) for several peak days in the summer. As of 2011, the town had a population of 78,395. The name of the town is believed to have been derived from the Tamil word Aaru konam meaning [ Aaru tend to mean Six corners joined to form a shape means hexagon (ancient name was "arunthamizh kundram"), since, six important places on its six sides namely Kanchipuram, Thakkolam, konalam, Thiruvalangadu, Tiruttani and Sholinghur. And Paranji is at the vicinity of Arakkonam. Arakkonam is one of the most important Joint Junctions of Indian Railways in South India under the Southern Railways that is why Arakkonam is called as Arakkonam Joint Junction. 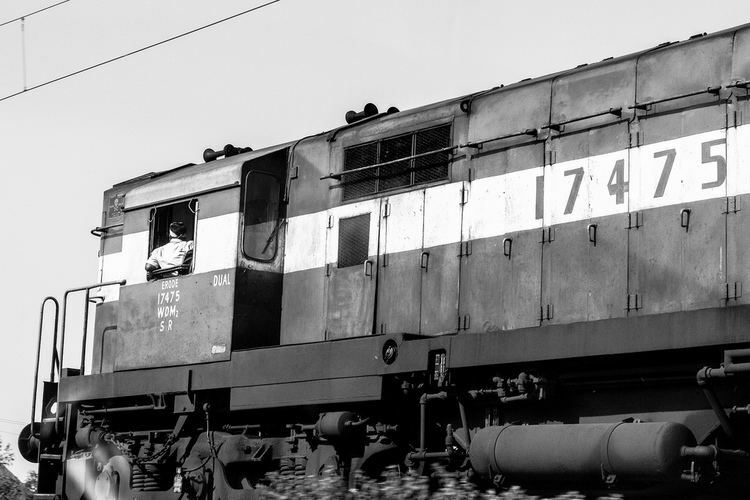 The first train to south India was from Mumbai (formerly called Bombay) to Royapuram (Chennai) via Arakkonam. Arakkonam Joint Junction (AJJ) is one of the oldest Junctions in the country connecting major cities such as Bangalore, Mumbai, Goa, Vijayawada, Hyderabad, Coimbatore, Tirupati, Mangalore and Thiruvananthapuram. Tamil is the official language and spoken by the majority of the people. Since, it is the border town municipality to Andhra Pradesh, Telugu is widely spoken here.